I love having fun sequencing sets that kids can work on. It is fun to have seasonal activities for this. I am in love with this new Easter Egg Sequencing! It is a fun creative way to work on steps for a fun activity that kids love to do around Easter. This is a fun 4 step sequencing set for kids to learn with. 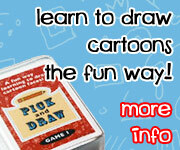 It has different levels of learning and a great way for kids to learn the order of events. It has a collection of 3 part cards, clip cards, writing, cut and paste and an easy reader book with matching writing. Plus these come in all different word types and themes to use with kids that might be at different learning levels. Click here to buy your copy of the Sequencing: How to Dye Easter Eggs at Teachers Pay Teachers. The set comes with sequencing order cards. They come in 1st, 2nd, 3rd, 4th; first, second, third, fourth; and first, then, next, last. This allows you to work on different words with the same pictures. You can cut them up for 3 part cards or you can keep some them together to use at reference when kids are writing. I recommend laminating the cards to help them last longer. You are going to find different types of clip cards in the set. They have the same word options as the 3 part cards. I love the different cards because kids all learn different ways. A lot of the time we use hands-on items for the clip cards instead of clothespins . I love the clear glass gems . There are three types of cut and paste cards. Each of the pages has four steps and pictures to cut out. They come in 1, 2, 3, 4; first, second, third, fourth; and read the sentences & put in order. There are several writing pages and they all match up with the easy reader book in the set. Each of the pages has simple sentences about what is happening in the picture. These are great books to use with the set. It has 16 sets of Sequencing Themed Sequencing cards, worksheets and easy reader books for the following themes: Hitting a Baseball, Getting Dressed for Rain, Flying A Kite, How to Recycle, How to Grow a Plant, How to Pick Strawberries, Life Cycle of A Plant, How To Plant A Garden, Water Cycle, Life Cycle of a Frog, Life Cycle of a Butterfly, Life Cycle of a Ladybug, and Life Cycle of an Ant, How to Dye Easter Eggs, Seasons of a Tree, and Seeing a Rainbow. Click here to buy your copy of the Sequencing Cards Set for Spring at Teachers Pay Teachers. Has the following themes: Hitting a Baseball, Getting Dressed for Rain, Flying A Kite, How to Recycle, How to Grow a Plant, How to Pick Strawberries, Life Cycle of A Plant, How To Plant A Garden, Water Cycle, Life Cycle of a Frog, Life Cycle of a Butterfly, Life Cycle of a Ladybug, and Life Cycle of an Ant, How to Dye Easter Eggs, Seasons of a Tree, and Seeing a Rainbow. This entry was posted in learning to read and tagged printables, sequecing, sequencing cards, spring. Bookmark the permalink.